Action Fence can help you with your aluminum fencing needs. One of the greatest things about these long lasting beautiful products is that there are many options to choose from. So many in fact that their greatest strength can become a hindrance to you. Our professional team can help you make the right choice in selecting the perfect pre-fabricated or custom aluminum fence panels to best fit your needs, budget, property, and style desires. A fence made of ornamental aluminum not only makes your property look great, but it also significantly improves the security of your property. One of the considerations some people forget about during their selection process is the the region in which we live. In Georgia and Tennessee, we experience a very diverse set of weather conditions from UV filled sunny days, to cold snow filled days. Powder coating includes UV stability, as well as corrosion protection, and is a great material for our area. It's suitable for aluminum pool fencing, or as a garden fence as well. Another of our products offering UV stability is vinyl. Click the link for more information. Another great aspect of this choice is the creativity our manufacturers display in the many variations they make available. Our professionals look forward to the opportunity of speaking with you and helping you with the sometimes overwhelming selection process to meet your needs. 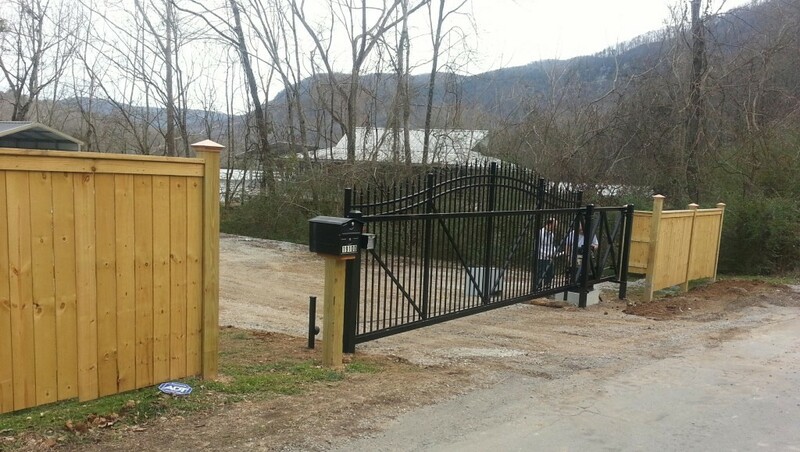 The only other fence that offers so much choice is within our huge catalog of aluminum fencing. 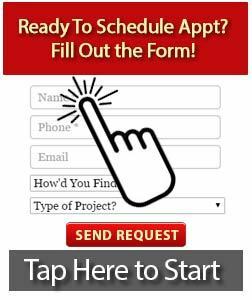 Give us a call today at 423-842-8700. We also offer wooden fence repairs where possible. Raw steel that is keyed and painted is the least expensive finish alternative. Although it is cheaper, it is not advised in the Georgia or Tennessee environments. 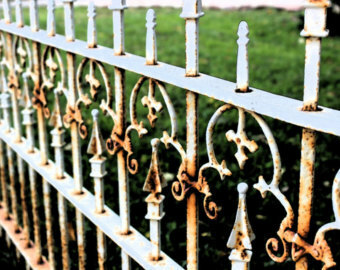 It simply doesn't hold up to the climate which allows it to fade, rust, and corrode way faster then a fence that has a powder covered surface. If you'd like to explore wood, click here to learn about our strongly built Action wood fences instead. Book an appointment today to talk to an elite member of our team by giving us a call today at 423-842-8700.